What Is the Relationship between Exercise and the Immune System? A woman exercising. Exercise can help boost the immune system. 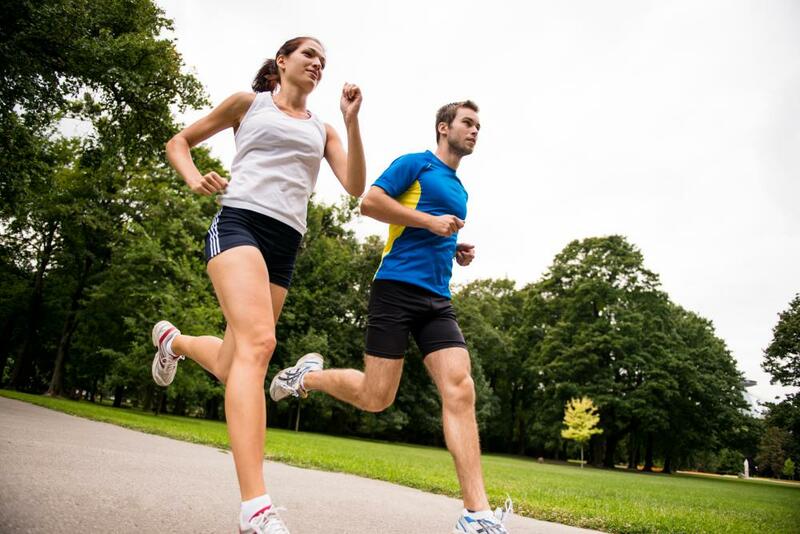 In general, the relationship between exercise and the immune system is a positive one. People who regularly exercise at moderate intensity, and are otherwise reasonably healthy, typically experience a boost to the immune system that makes them less susceptible to colds and other illnesses. The opposite can be true, however, if people exercise too intensely, or too often, which can then make them more likely to get sick. In most cases, however, the relationship between exercise and the immune system is extremely beneficial, and is one of the most important components of an overall healthy lifestyle. Exercise is simply beneficial for the body overall, so it is no surprise that there is a positive connection between exercise and the immune system. Regular exercise helps to maintain a healthy weight, which can help to reduce the risk of heart disease or even certain cancers. It also helps to boost endurance of the heart and lungs, and researchers have shown that exercise improves the antibody and T-cell response in the body, which are important components of the immune system in fighting off infection. Finally, exercise also helps to reduce stress and the harmful stress hormones that go along with it, which can also help to prevent illness. To get the most benefits from exercise and the immune system, it is typically necessary to engage in moderate aerobic exercise on a regular basis. Experts usually recommend approximately five days per week at about 30 minutes per session. This can include brisk walking, jogging, or bicycling, just to name a few. Mixing up the routine can prevent boredom with the exercise, and ensure that it continues on a regular basis. Combined with a healthy diet that is rich in fruits, vegetables, and protein, this will really help to boost the immune system. There are certain instances where the connection between exercise and the immune system is not so positive, however. First, an individual who is coming down with an illness such as a cold or the flu should take some time off exercise to rest and recover, rather than pushing and making the illness worse. In addition, exercise that is too intense and occurs on a regular basis can also actually weaken the immune system and make people more prone to illnesses. This is why it is important to take rest days and allow the body time to recover, and to work out at an appropriately moderate level. What Are the Different Ways to Strengthen the Immune System? How Do I Choose the Best Foods for the Immune System? What Is the Connection between Vitamin D and the Immune System? What Is the Relationship between Stress and the Immune System? What Are the Different Types of Immune System Remedies?